Young Empires are Robert Aaron Ellingson, Jake Palahnuk and Matthew Vlahovich out of Toronto, Canada. 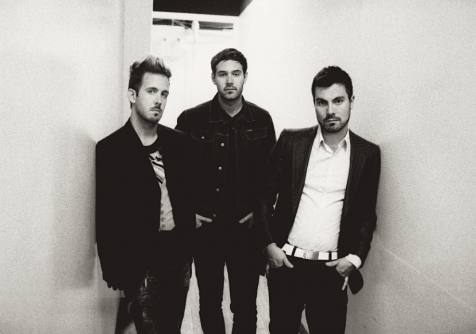 Formed in October 2009, the trio describes their style as “world beat haute rock”. After releasing their self-produced debut EP online and getting the song “Glory of the Night” featured on Parisan fashion/music label Kitsune’s Maison 10 Compilation in 2010, Young Empires are now poised to release their highly anticipated debut album. “Enter Through The Sun” is the first single from the band’s forthcoming debut full length Wake All My Youth, scheduled for release on January 31st 2012. With support slots for Jamiroquai, Dragonette, Japandroids or Sleigh Bells and exhilarating remixes for Sunday Girl, French Horn Rebellion and Two Door Cinema Club under their belt, it’s only a matter of time before Young Empires reign supreme.